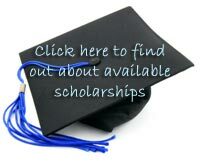 Scholarships for community college, college, and university education. Academic programs in science, math, music, athletics, language and fine arts. Graduate training for the improvements of vocational and technical skills. Educational opportunities in leadership development. The Gold Beach Education Fund was originally started over 15 years ago with generous contributions from the Charles and Effa Sage Foundation and other Sage Family members. The Foundation is now also supported by gifts from local contributors. The Foundation is guided by a Board of local residents with a demonstrated history of serving the educational needs of our youth. Over the years, hundreds of Gold Beach High School students have received financial assistance in the form of scholarships or support for academic, leadership or fine arts learning opportunities. The Gold Beach Education Fund Advisors are members of the community who have taken on the responsibility of soliciting financial contributions to be awarded to students of the Gold Beach school system for furthering educational opportunities that are not available at the schools themselves. This includes programs for Riley Creek and Gold Beach High School students, as well as scholarships for graduating seniors. Scholarships can also be given to post-graduate students when money is made available for that purpose. Thank you very much for the scholarshp I was awarded. I will benefit from it by continuing my education as far as I can. The money will be put to good use and I am very grateful for it.